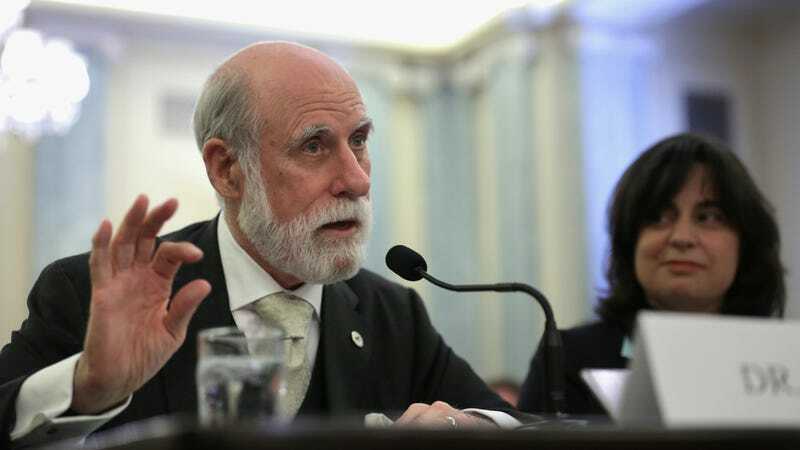 Back in the 1970s, Vint Cerf was one of the engineers working on ARPANet, the early military predecessor to the internet, and consequently he's often referred to as one of the founders of the internet. These days, the decidedly father-figure-esque Cerf still cares about the network he helped create — specifically, saving digital information for posterity. In a BBC interview, Cerf raises the ugly possibility that centuries (or even decades) from now, file formats will have become obscure and unreadable. Given that I spent most of last week struggling to read an old Outlook data file on Windows 8, I can see his point. This isn't just some abstract problem, either. Last year, a small NASA team trying to restore photos from a '60s lunar orbiter mission ran into this exact problem — data was trapped on old tape decks, and the hardware needed to extract the pictures was decades out of production. The Internet Archive, a site best known for the archival snapshots it takes of web pages, has its own approach for preserving bits of internet culture, extending to things like Flash emulators of old DOS games that anyone can play in a modern web browser. While that's a good approach for the short term, Cerf thinks a more comprehensive solution is needed to store digital data for millennia. He calls his solution a 'digital vellum' — a complete snapshot of everything needed to interpret a particular file. For example: to open a .psd Photoshop file, you'd need Photoshop itself, but then also a copy of Windows, all the drivers needed to make the hardware play nice, right down to the firmware and assembly code for individual chips. According to Cerf, that's the only way to guarantee that archaeologists a few centuries from now will be able to see your selfies.